Your first solo live. What was different or harder than your lives until now? Until now, I had to think about how to make my voice stand out, and my dancing stand out, both in a separate way. But now I'm alone, singing and dancing at the same time, and that's the biggest difference. How did you prepare this 22 songs setlist? Is there any song that left you a big impression? As my theme as a solo singer is "Chameleon", I always thought about how should I express this chameleon feel. As my first album is composed of songs of various style, it was pretty hard to make a setlist based on this album alone. Until now as the lives setlist were separate, I also didn't know how to make a successful development of scenes between the songs (t/n how to switch from ballads to more dynamic songs). To make this chameleon theme, I had to soften my mind a bit and I thought I should start to arrange this live right after proposing a content that would make staff think "Are you kidding?". You changed outfit 13 times during the live, which one was your favorite? There's not any outfit that is similar to another so I cannot really pick one, and I love them all the same. 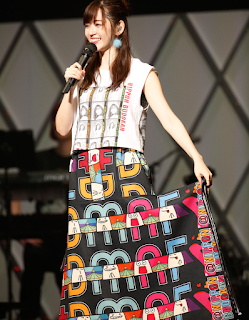 However the skirt I wore during the encore has been made from the towels sold as goods that I created myself, and as there's only one piece existing in this entire world, I really loved it. 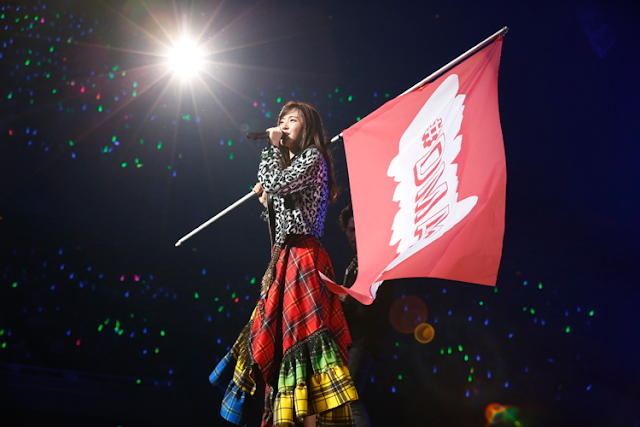 Again, what are you thoughts after achieving this Budokan live? Having experienced this first live, is there something you'd like to try during your Autumn live tour? I want the theme of my tours to be "Forgetting about your daily life". I believe lives are made for that purpose in the first place and I would like to develop this theme even more from now on!! 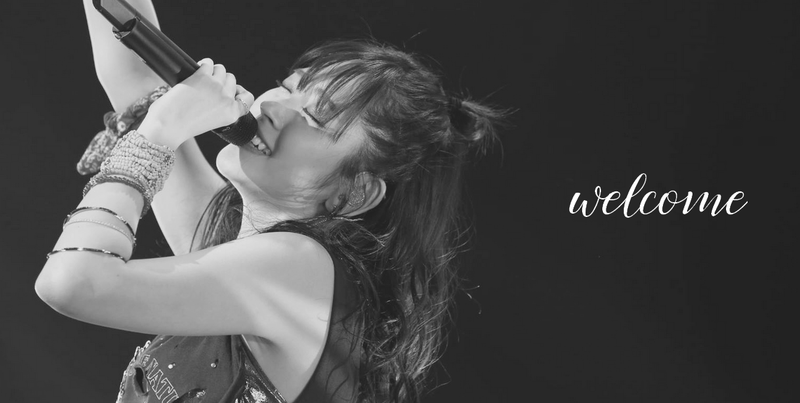 (t/n Airi often says during her MCs and on her official blog/Instagram posts that she hopes her lives are some kind of places fans come to forget their daily-life stress and problems). Also, "How to develop Suzuki Airi's cameleon aura?". That's a really fun and also very problematic thing I have to do in the future. I always want to be in that state of mind! !